Turkey is somewhat in the news these days—and not in a good way. A recent New York Review of Books article considers three books on the current state of affairs, and particularly the fraying relationship between the Gulen movement and Prime Minister Recep Tayyip Erdogan. I have only the most superficial understanding of the Gulen movement and the intricacies of this struggle for leadership among Turkey’s Islamists. Plots and conspiracies abound within this whirlwind, aided in large part by a complicit judiciary on one side and a police community on the other, each willing to do the bidding of their particular faction. And in probably the most important story that you didn’t read in this last week’s news cycle, a video caught high-ranking Turkish government officials planning a false flag attack on northern Syria. Add to that the fact that the Turkish economic miracle may be fading. And of course, many still recall the demonstrations in Taksim Square from last summer. I am a great lover of Turkey and recall my first exposure with great fondness, stumbling into the country in 2003, almost as by accident. On a whim, I decided to interrupt an exploration of Bulgaria and take the Balkan Express to Istanbul for a few days. (This was also the occasion of perhaps my personal best as a traveler–making my reservations for a sleeper in mangled French—the only language common to me and the clerk in Sofia.) I first set foot on Turkish soil at Kapipule, at two o’clock in the morning, as we piled out of the train and made our way, bleary-eyed, across the tracks to the dumpy little border crossing. The train was about to leave by the time I figured out that I must purchase a visa in one building before having my passport stamped in another. In my confusion and haste, I actually boarded the wrong train. But after a momentary panic, I retraced my steps and found my car. The following morning, I disembarked at Istanbul’s Sirkeci station—quite literally the end of the line in Europe. If someone at age 48 could still be described as wide-eyed, then that was my reaction to the city. The bustle of Sultanahmet—and the East—beckoned me in the same way it has captivated other Western travelers through the centuries. I returned time and again, in and out of Turkey six or seven times by 2011. In the course of these travels, I visited most every major region of the country, save for the southern coastline around to Antakya. For someone with an appreciation of history, the Anatolian countryside yields new discoveries around every corner. And along the way, I came to love the open hospitality of the Turks themselves. To educate myself further, I read Orhan Pamuk, and followed the commentary of Mustafa Akyol. Louis de Bernierres’ Birds Without Wings remains one of my favorite novels (an incredibly powerful narrative of the tragedy—for it is that—of modern Turkey). Back home, I become an enthusiastic advocate, if not apologist, for Turkey. In 2003, the atmosphere here could only be described as feverish. The U.S. had just shocked and awed Iraq, and Turkey’s refusal to allow its bombers to fly-over still rankled in people’s minds. At least in my uninformed part of the country, the Turks were simply part of the unintelligible Muslim other, no different than any other over there. And so, I talked a lot about Turkey, even to the point of joining the crackpots who wrote letters to the local newspaper. I would explain—with mixed success—the all-important differences between Turk and Arab and Kurd and Persian, and that the Sufi-influenced Islam of Anatolia had perhaps always been more moderate than elsewhere. Certainly some of my Turkish acquaintances fell into this latter category—young, ambitious, educated, western-oriented and not particularly religious. But Istanbul is not really Turkey in the same way that New York City is not really America (and I write this as someone who loves both cities). A foreign visitor to our largest city can be forgiven for not comprehending that a more representative sampling of this country might be found, for example, at the truck stop I recently patronized on Interstate Highway 40 between Memphis and Nashville. And so, even at the first, I sensed that my cool friends in their nice cars might not be the full story of this new Turkey. At Topkapi Palace (not my favorite Istanbul “must-see”), we foreign visitors were probably outnumbered by Turkish tourists from the conservative hinterlands of Anatolia. These sturdy Turkish women, heavy and broad, identically dressed in thick, drab, monochrome gray overcoats and scarves, quite literally elbowed and man-handled me away from a display case in the museum. It seems I lingered too long examining some hairs from the beard of Mohammed. Even from the first, however, some aspects of the Turkish mindset irritated me to no end. I bristled at their pervasive Turkocentrism—smug and unquestioning. Perhaps this is merely their variation of the U.S.’s own equally unrealistic American Exceptionalism. If so, it is equally unappealing. The Turks have a mythic view of themselves, as we all do, I suppose. Theirs, however, often seems more detached from real history. In all things, we would do well to understand that they consider themselves Turks first, Muslims second, and Sunnis last. None of these concerns prevent me from returning to Turkey, however. In fact, I will be in the far eastern reaches of the country in May of 2014. But my enthusiasm for all things Turkish has waned. My defense of the AKP has come to an end. Broadly speaking, the ruling party displays the same authoritarian bent as the former regime. The judiciary seems no less corrupt. In countless sundry ways, the particular religiosity of the AKP base is making its presence known. 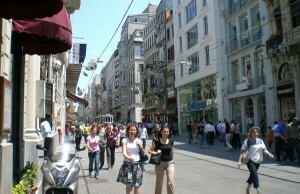 The recent ban on the sale of alcohol after 10:00 p.m., for example, will be noticeable to even the casual Istanbul tourist. For political reasons, the exquisite Hagia Sophia Church—the jewel of the Trapezuntine kingdom—has now been converted into a mosque though Trabzon hardly lacks for Muslim worship venues. And this brings us to the current discussion of doing the same with the Hagia Sophia in Istanbul. In the past, this would have been unimaginable, and I would have dismissed such as wild conspiracy talk. In the new political realities of Turkey, such an outcome looks more like a distinct possibility. Robert Ousterhout, the respected Byzantine scholar, calls this the “litmus test” of conservative members of the ruling party. We know how such litmus tests proceed in this country, and so the slow strangulation of any non-Turkish element in society continues apace. Indeed, the cosmopolitan air of old Constantinople has been largely just a memory for a long time now. 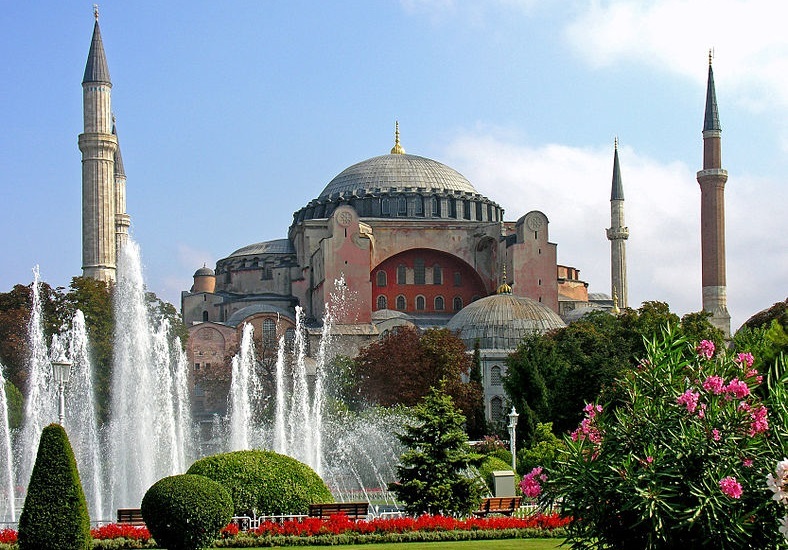 For better or worse, Istanbul will be—must be, apparently—a thoroughly Turkish city. And now we have evidence of Turkey’s messy involvement in the Syrian Civil War, as well as their deep level of support for the insurgents. At first, these actions seemed incomprehensible to me. Turkey certainly managed to stay out of the Iraqi war on their border. If so inclined, they could do the same with Syria. But by stepping back a bit and taking the long historical view, their actions are more understandable. By the time the U.S. gained its own independence, the Ottoman Empire was already the “Sick Man of Europe,” and would remain so until its death in 1919. But they were not always sick. For some time now, Turkey has communicated its desire to take a larger—indeed, its historical—role in the region. Perhaps the best summation of their behavior in this matter is that they are simply Turks being Turks once again. Terry Cowan is an East Texas businessman. He also teaches History at Tyler Junior College and the University of Texas at Tyler. Terry travels extensively in the Balkans, the Levant, and the Caucasus nations.